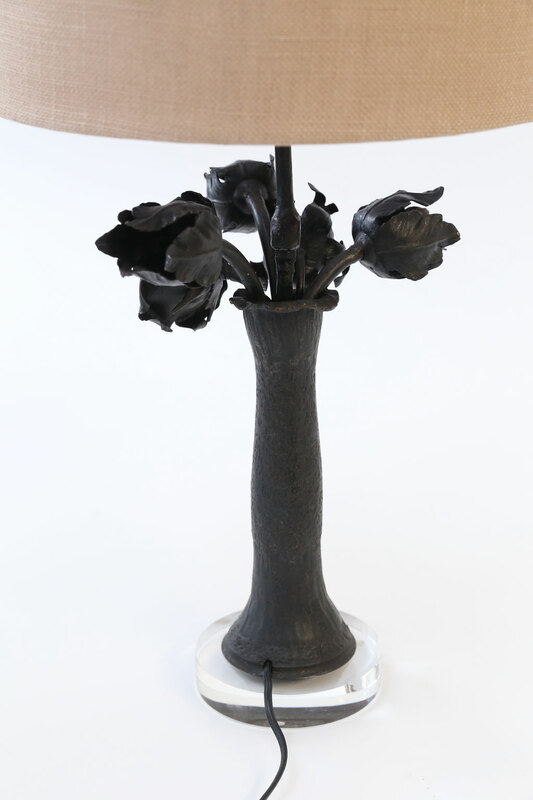 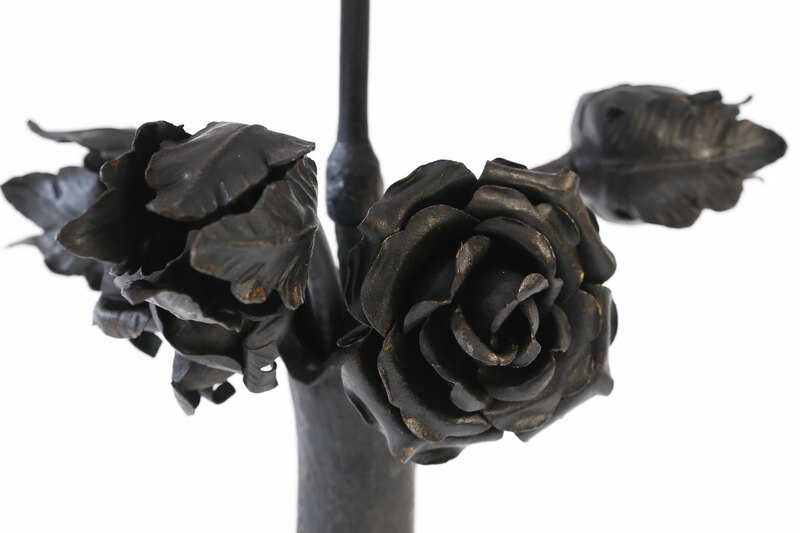 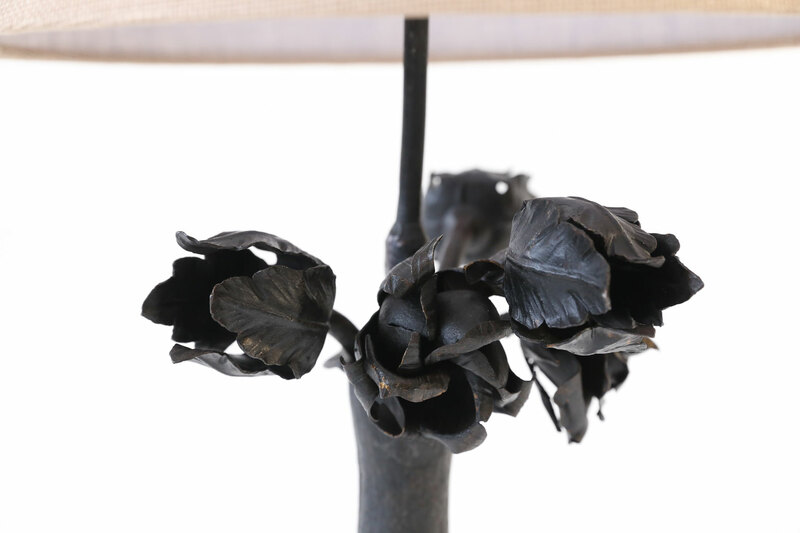 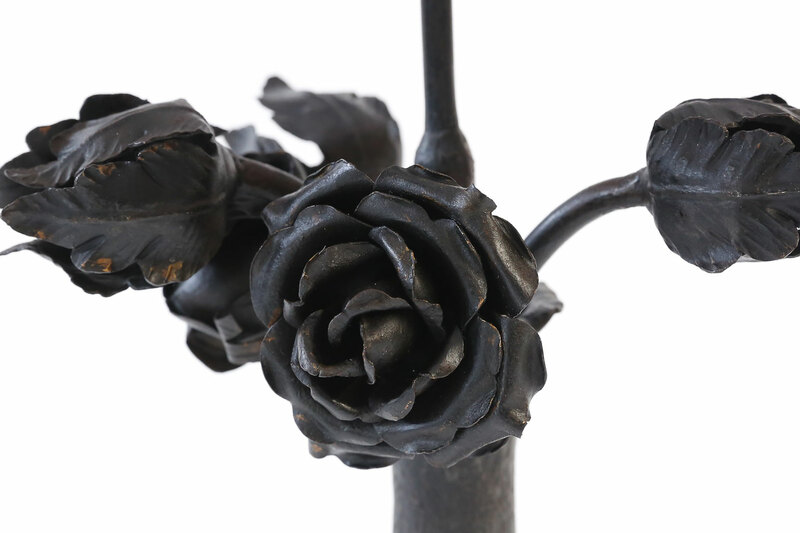 Antique iron flower lamp: iron table lamp with a collection of forged and cast iron flowers upon an acrylic base. 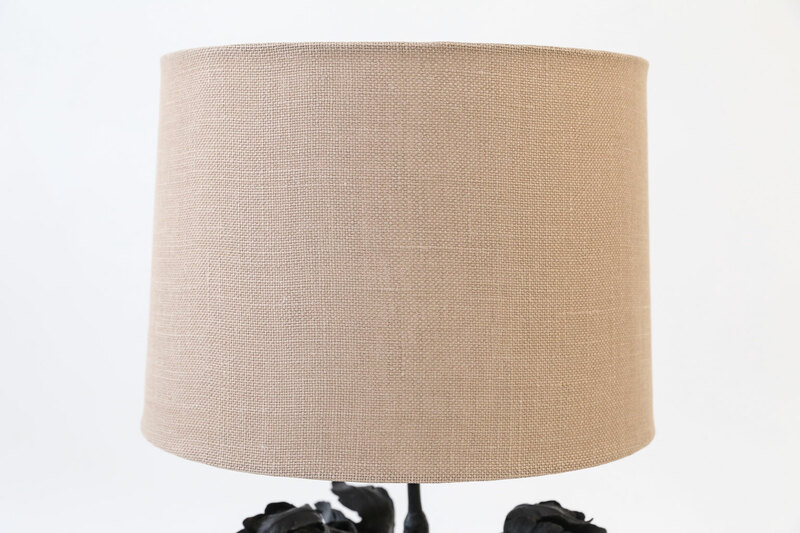 Includes complementary rolled edge burlap shade (measurements include shade). 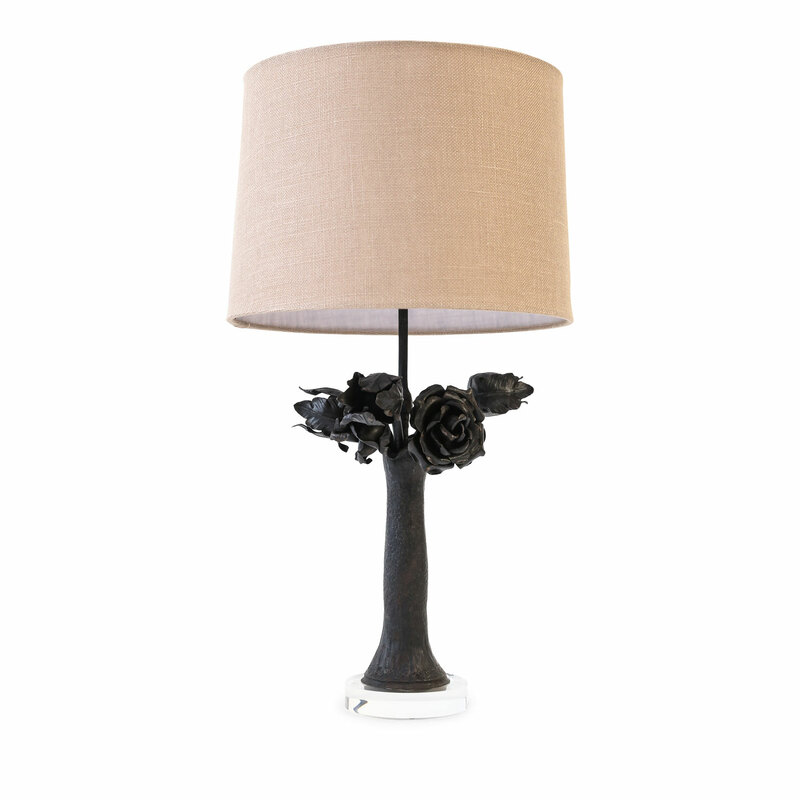 Newly wired for use within the USA with all UL listed parts. 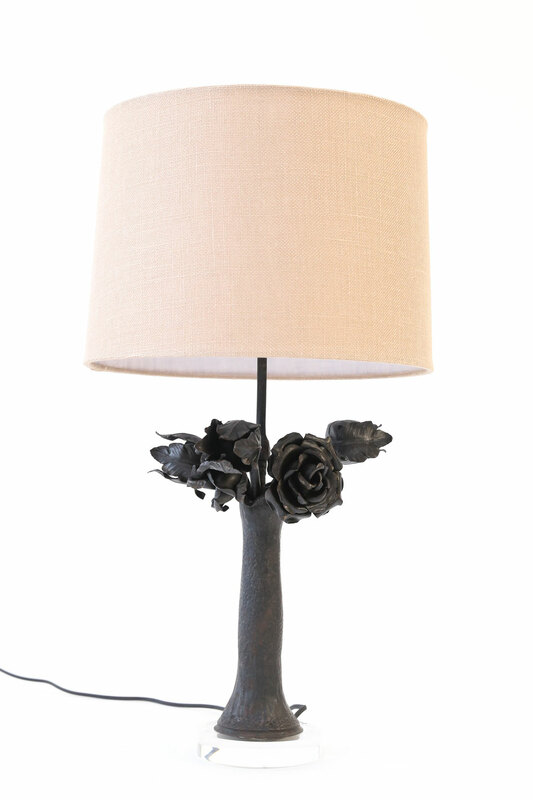 Condition: GoodNewly wired for use within the USA using all UL listed parts. 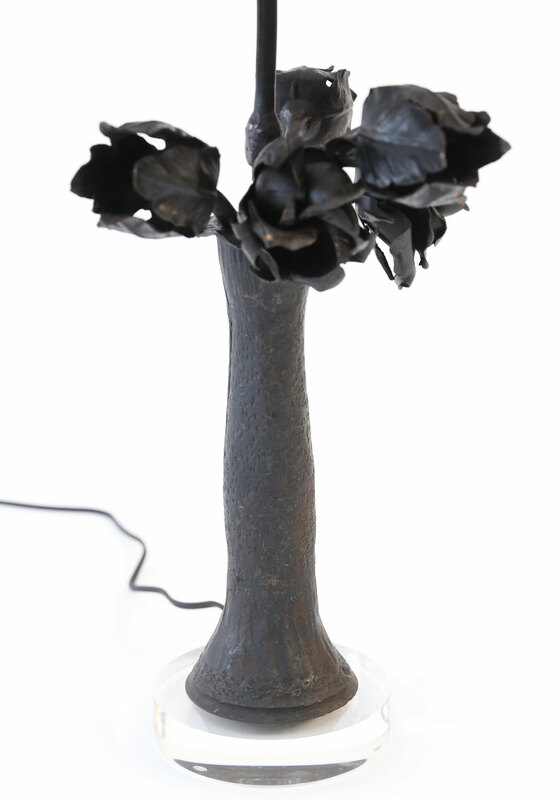 Materials: Iron (forged and cast), acrylic and linen.